I have a confession to make. I really enjoy watching beauty videos on YouTube. I like seeing what people are using, enjoying, NOT-enjoying, products folks recommend, and products people dis. It’s just a fun hobby for me, and yes, I’ll admit I’ve got a bit of a “collection” going on. Since we are getting ready to head north to our home in Washington state, I made an effort to finish up a few things that I won’t need to transport back and I’ll show them to you here, along with my opinions. L’Oreal claims this will “transform your dry, brittle hair into soft luscious strands”. Does this happen? YES! 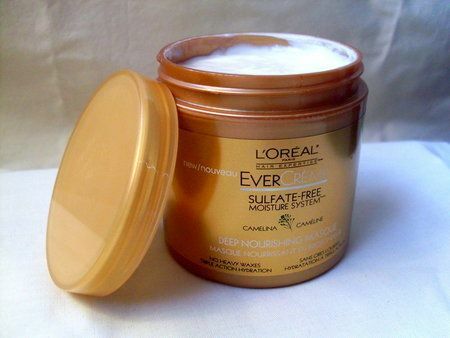 I have dry hair and this product really does make it soooo much softer, like it really is beautifully moisturized. I use it once a week or so in the shower. You really should leave it in for about 5 minutes for it to work it’s magic. LOVE this stuff and definitely will repurchase. Another item I finished off in April was a gift I got for Christmas…. or a third of a gift to be precise. I got a trio of Josie Maran’s whipped Argan oil body butters and opened the Vanilla-Apricot one. The three scents are Vanilla Apricot, Sweet Citrus, and Jasmine. I have only opened the one, but OH my goodness I love this stuff! Josie Maran says it’s “intensely hydrating body butter that gives sweet relief to the driest skin. Is this true? Absolutely. It’s a wonderful moisturizer for dry skin… and the Vanilla Apricot smells amazing. It can be a bit oily in a way, but it IS made with whipped Argan oil, so I guess that shouldn’t be a shock. My dry skin LOVES it, and so does my nose! Would I repurchase? Well, this is fairly pricey ($28 for three) so possibly not. 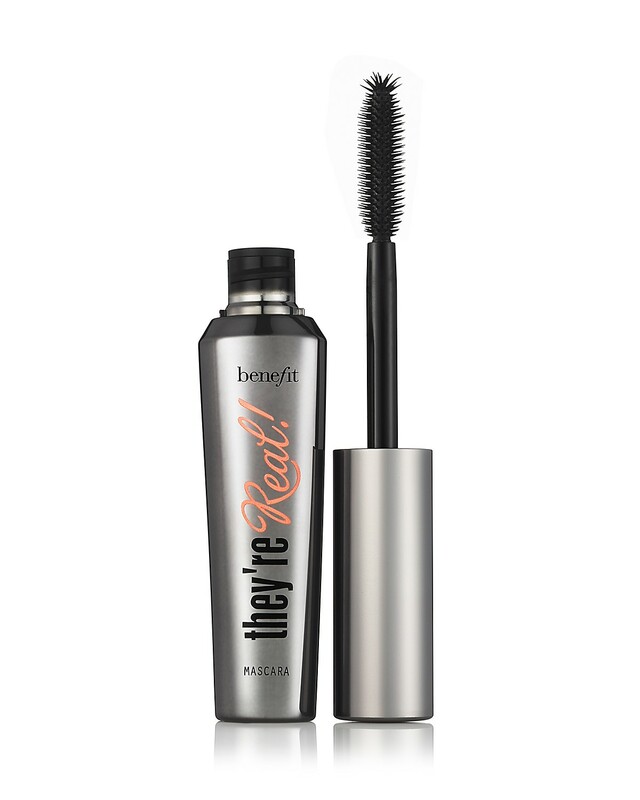 Another item I finished up last month was a sample size ($10) of Benefit’s “They’re Real” mascara. I think I got this item for free with a Sephora order. The full size (shown above) is $23. I love mascara… if I were stranded on a desert island and could only take one make up product, mascara would be it. Would this mascara be IT? Probably not. I liked it, but I didn’t absolutely love it. Yes, it works great, and the wand is unique with the little fronds at the tip that help you reach and cover every eyelash. Yet… I’ve found some nice drug store mascaras that are nearly as nice and priced less than half (way less than half) of “They’re Real”. I finished up a 25 pack of these …. 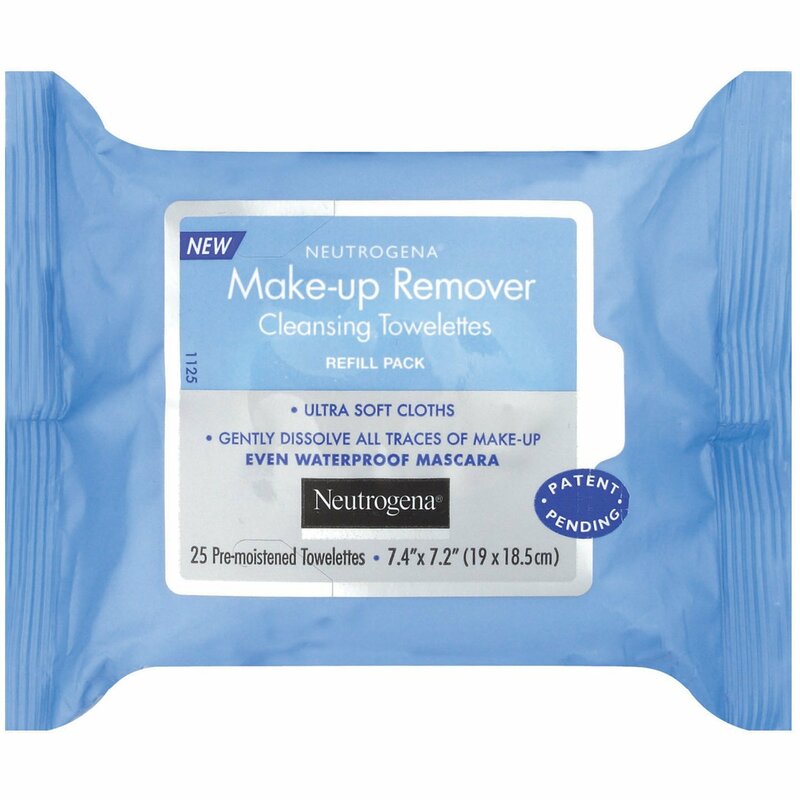 Okay folks, the Neutrogena Make up remover towelettes are my “holy grail” cleansing wipes. They claim to “gently dissolve all traces of make up – even waterproof mascara”. Does it work? Yes! I do use another product for removing waterproof mascara, and then finish up with these towelettes. Would I repurchase? For sure! I already bought the giant pack at Costco! About a year ago, my daughter in law and I did one of our marathon shopping trips to T. J. Maxx. It was there I found this next item that i recently used up. 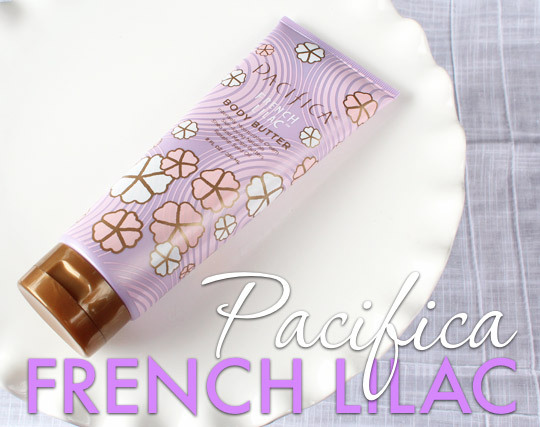 Pacifica French Lilac Body Butter. First off let it be said that Lilacs are my FAVORITE flowers. I LOVE the scent of lilacs!! The Pacifica body butter really does smell like lilacs and not only that, it’s very moisturizing as well. The price was right ($3 or $4) and one has to love a nice cream that’s made without any of the “bad stuff” – aka Parabens. I would definitely re purchase, but not right away as I do have other lotions I need to work through. 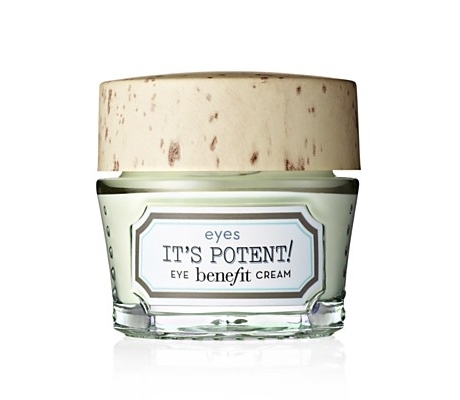 I’ve been using this eye cream since October – Benefit’s “It’s Potent” eye cream. I’d never used an eye cream before, but I do have some fine lines under my eyes and what I think are AWFUL dark circles. Here’s what this stuff claims to do: (I copied off their website) It’s potent! eye cream fades dark circles & helps smooth fine lines for brighter, younger-looking eyes. Contains a peptide complex known to help restore elasticity & firmness, a blend of hydrating botanical extracts and loquat extract, known to help protect the skin from free radical damage. Who wouldn’t want “brighter, younger-looking eyes”?? Hmmmmm Okay, I can say that it did NONE of what it claimed and I DID give it a fair shake — over 6 months!!! My dark under eye circles are just as dark as they always were. I still have plenty of fine lines. I have no idea if there is any more elasticity or firmness. What I CAN say is that it works just fine as an under eye moisturizer. Except that is NOT what I bought it for. This item was (cringing here!!!!!!!!) $34. No, I’d never re-purchase this item. I’ll use my regular facial moisturizer for my under eye area once this is all gone… just like I’ve always done. 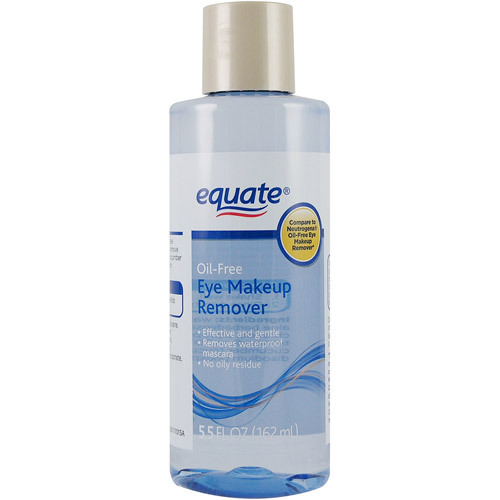 My buy of the month: Equate oil-free Eye Makeup remover – $3.97 for 5.5 ounces. This is the Walmart brand which claims to be a dupe for the more expensive Neutrogena liquid eye makeup remover. I saw this item on a YouTube video and watched the person remove her eye makeup with incredible ease, particularly the waterproof mascara – which is often very stubborn. When I tried it, I was amazed at how easily the tough stuff slips off. It has never irritated my skin or burned my eyes, and OH YEAH, I’ll be buying this again… and again…. and again!! So, there you have it, April’s favorites and empties. If anyone is interested in some of my favorite YouTube channels, just let me know and I’ll list them in a post soon! This entry was posted in Beauty and tagged Beauty, Benefit, Josie Maran, Neutrogena, They're Real, YouTube. Bookmark the permalink.